ARE YOU LOOKING TO PURCHASE USED MACHINERY? We can help you find what you need as an alternative to buying brand new. We have a wide-ranging database of available machines we can currently offer. If you do not see what you are looking for on this web site, then please contact us with your exact requirements. DO YOU HAVE SURPLUS MACHINERY FOR SALE? We can help you realise value on unwanted assets. Send us your current list of surplus machinery. 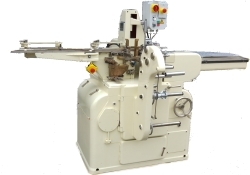 We are looking for all types of production and packaging machinery: single machines & production lines & departments. We can also assist in the sale of complete factories.